Rose, White, Or Yellow: Which Gold Woman Are You? Gold, Gold, Gold, they just Gotta have that Gold. Gold, Gold, Gold, they'll do anything for Gold. The original soundtrack of the classic Hollywood movie Mackenna’s Gold amplify the worth of gold. Undoubtedly, gold is one of the most precious metals known to the mankind. Gleaming with brightness and extremely malleable, it has adorned the crowns of royalty in the past and found a prominent place in the treasuries.But today, gold is mostly associated with jewellery. Gold Jewellery is timeless and is the most preferred choice of metal for most women. 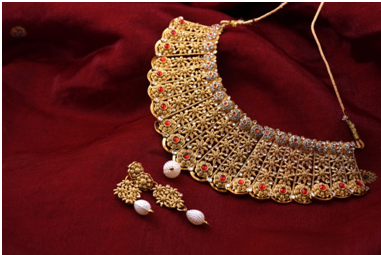 Elegant, ornate and elaborate, gold jewellery is the mainstay of every Indian wedding and festive occasion. However, recently there is a new wave of gold jewellery designs that are contemporary and chic in style and come in different colours. Yellow Gold is the most traditional and also the purist form of gold. Most traditional jewelleries, indigenous to different parts of India are mostly crafted in yellow gold. If your style is more traditional, put your bet on yellow gold. Since time immemorial, some of the best jewellery designs donned by Rajput princesses and even Mughal empress were made in gold, embedded with semi-precious stones like sapphire, ruby and emeralds. Due to the timelessness and versatility of these patterns, many jewelers replicate these designs even today. At the same time catering to the demands and preference of modern contemporary women, jewellery retailers like CaratLane have come up with a line of very wearable and light gold jewellery designs that are suitable for everyday wear. Whatever be your pick, the dazzle of quintessential gold can never be undermined. White Gold is made out of alloy of gold and platinum. Known for its scratch proof, smooth and pristine texture, some of the best range of jewelleries are designed and crafted in this metal. 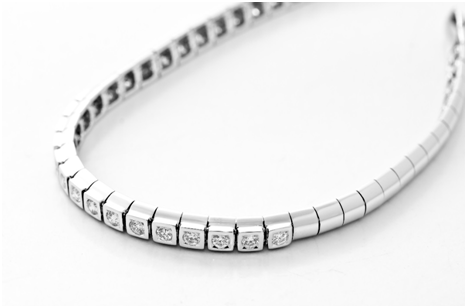 White gold personifies elegant charm. So, if you have a contemporary taste in fashion, jewellery made out of white gold will surely win your heart. The metal also happens to be very chic and minimalist in its appearance. 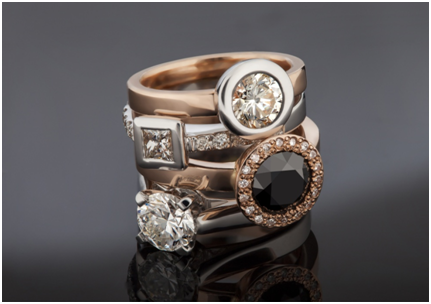 Unlike, yellow gold, jewellery made from white gold is designed to suit subtle preferences. The colour rose gold has earned supreme position in the fashion and accessory world. Even the world’s top gadget and Smartphone companies have fallen for the charm of rose gold, choosing to manufacture products in this colour. So, what’s so special about this colour? For starters, the colour rose gold is equated with exquisite taste and is perceived to be somewhere between luxury and fashion. Made from the alloy of gold, copper and silver, rose gold is a very robust metal that allows very intricate craftsmanship. Gold is gold, white, yellow or rose. It never goes out of trend and no matter what your preference of taste is, the relevance of gold is evergreen. To get the windows resolution then use my link https://www.windowsresolution.com/ for free. Last Day of 2016: HAPPY NEW YEAR !